School meals at Kings Furlong Junior School are provided by Hampshire County Council Catering Services (HC3S). Click on the link to have a look at the school menu. School lunches cost £2.30 per day, with dinner money paid in advance at the school office or online. Please speak to the school office if you would like to register for online payments. If you think your child is eligible for Free School Meals please complete the form at this address https://www.cloudforedu.org.uk/ofsm/hants. 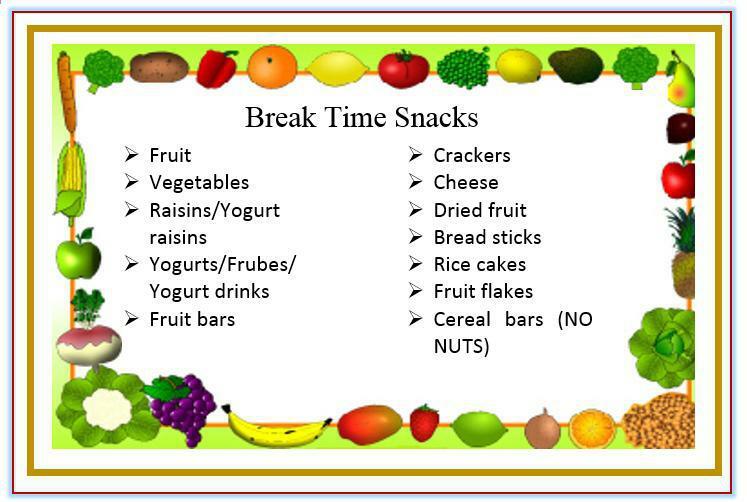 Our School Council have produced the following guide to healthy break time snacks. Kings Furlong Junior School is part of ‘Cool Milk’. You can register online at www.coolmilk.com. You will need the schools postcode, which is RG21 8YJ. Milk will be delivered to school and we will give it out at break or lunchtime to those who have signed up. If your child is entitled to Free School Meals they can also have Free Milk, but you MUST register through the school instead (please speak to the office).